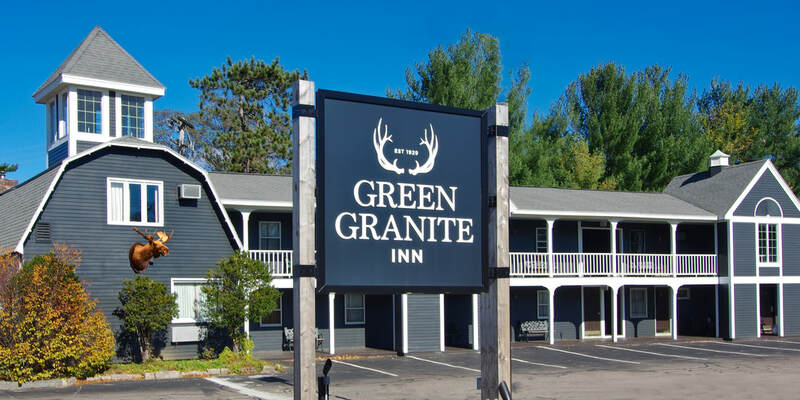 ​One of the most relaxing, family friendly places to stay in the White Mountains, the locally owned and operated Green Granite Inn is dedicated to providing the warm hospitality and superb amenities that will bring you back to us time and again. For several generations, families and couples have entrusted us to host their vacations, romantic getaways and special events in North Conway, New Hampshire. ​At our hotel in North Conway, the natural splendor of the White Mountains and the timeless allure of a country lodge create the backdrop for a relaxing and enriching experience. We hope to help you make a connection with the beauty, activities and exhilaration of the Mt. Washington Valley – a bond that will lead you to make the Green Granite Inn part of your family tradition for generations to come. Complimentary breakfast in the JW Dodge Room from 7:00 – 9:30 a.m.